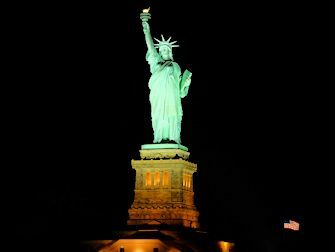 The New York dinner cruise with buffet is perfect for a relaxing night out. 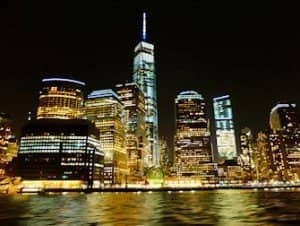 Admire the beautiful skyline of Manhattan after dark while you enjoy the variety of dishes and entertainment from the on board DJ. Whether you’re with your partner, friends or family, this cruise is suitable for everyone, thanks to the laid-back atmosphere onboard. The cruise departs from Chelsea Piers, make sure to get there in plenty of time so you can take a look around the boat. 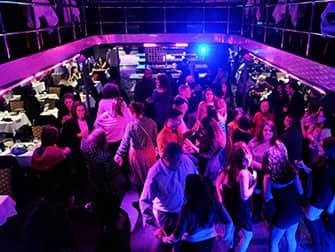 Onboard the New York dinner cruise with buffet you’ll be led to the dining room where you can enjoy the panoramic views and delicious food by candle light. Everything is freshly prepared by the culinary team onboard and there is something for everyone. Try a bit of everything or fill up on the dessert buffet, the choice is yours! Because it is a buffet, this cruise is suitable for people with an intolerance or allergy (gluten, for example) or who are vegan or vegetarian. Ask your waiter to point out the dishes that are suitable for your dietary requirements and they will be happy to help. During and after dinner, feel free to hit the dance floor, the DJ will be playing an eclectic mix. 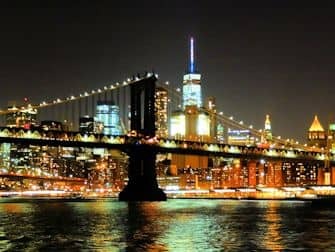 You can also play a game, explore the ship and head outside to get an even better view of the Empire State Building, the Brooklyn Bridge and the Statue of Liberty. At the end of the day, this cruise is all about having fun. Eric’s Tip: Are you with your partner and want to have a nice romantic evening together? 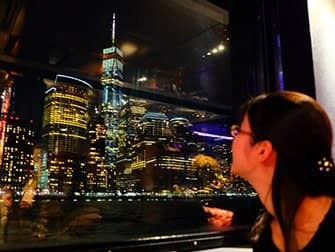 Take your drink outside on to the top deck where you will have the best and most romantic views of the illuminated New York skyline. Drinks are not included on this cruise, unless you upgrade to a premium ticket. If you want to drink alcohol, definitely consider upgrading to the premium ‘First Class’ package so that you can enjoy unlimited drinks. After purchasing you will receive a voucher per email. You can print the voucher to use it as your ticket for the tour, or show it as a mobile ticket on your smartphone. There is no strict dress code for this cruise but smart-casual is recommended.